model type: modern/minimalist ideal for interior viz. 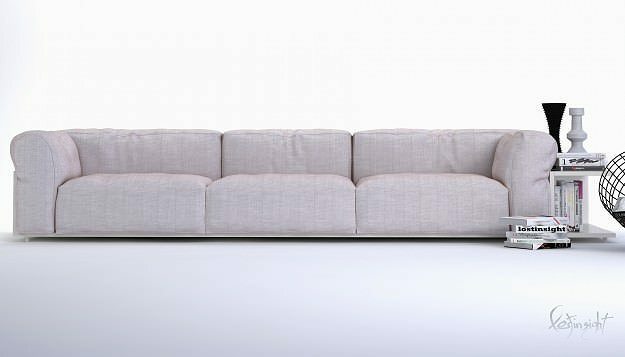 What's inside: A 100cm x 270cm modern white soft sofa with a very good shape and a realistic fabric shaders. 3D software use: 3Dsmax for basic shape modeling and MudBox for Detailing. compatible with 3dsmax 2009 UP to the version and vray 1.5 UP to the current version.